The major events of the Australasian PGA Tour schedule have been played and won and despite 25 appearances on the Champions Tour in the United States and a full complement at home this summer plus an appearance in South Africa last week, Peter Senior shows no indication of putting the feet up for Christmas just yet. The indefatigable Senior will again be the headline act from 18 – 20 December at the Australian Legends Tour Championship, sponsored by Nor East drinks, at the Byron Bay Golf Club after winning this event last year only weeks after claiming the Australian Open at The Lakes. While he is still searching for his first Champions Tour win, 54-year old Senior amassed over US$1.15 million in 2013, the third consecutive year he has earned over $1 million since debuting in 2010. His return appearance at Byron Bay is a major boost for the Australian Legends Tour and should ensure tremendous interest from local galleries this week. 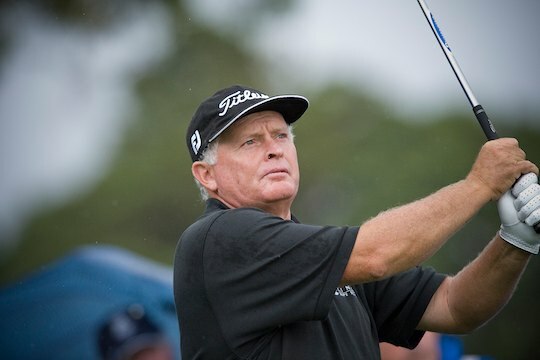 Senior will be joined by Mike Harwood, who will travel directly to Byron Bay after the European Senior Tour’s Tour Championship wraps up in Mauritius, Rodger Davis, Lucien Tinkler, Terry Price and Order of Merit leader David Merriman as the star attractions for the $35,000 championship at the picturesque layout.